Not all cosmetic treatments require surgery. For patients seeking cosmetic treatments to improve the appearance of the face, BOTOX® and facial fillers can treat these issues non-surgically. Mahjouri Cosmetic Surgery & Skincare Clinic provides BOTOX® and facial fillers to the residents of Fridley, Minneapolis, Anoka, and the surrounding communities. BOTOX® relaxes the muscles, smoothing the appearance of the skin. When applied to facial muscles, wrinkles and creases gradually disappear. Additionally, patients suffering from migraines may find relief with BOTOX®. During an appointment for facial fillers, our Fridley cosmetic surgeon may numb the area where the filler is applied to enhance patient comfort. Experiencing some redness, swelling, or bruising is normal for a short while after injection, but these signs can be reduced by avoiding blood-thinners, aspirin, and other medication for one week prior to scheduled appointments. Dr. Mahjouri recommends avoiding aspirin or other blood thinners for one week prior to treatment. This will reduce any bruising patients may experience after BOTOX® treatment. During a BOTOX® injection, our Fridley cosmetic surgeon will numb the site of the injection before patients receive BOTOX® and will then apply an ice pack to help prevent swelling. We recommend not lying down, applying cosmetics, or exercising for the first four hours after injection. We also recommend not rubbing or massaging the site of the injection. However, BOTOX® patients can otherwise resume their normal lives immediately following treatment. 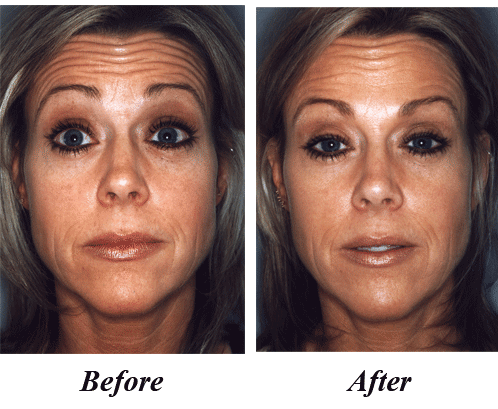 BOTOX® typically takes between three to four days to reach its full effect and lasts between three to four months. Dr. Mahjouri will take photos and monitor your progress during this time. Facial Fillers – What Are They? 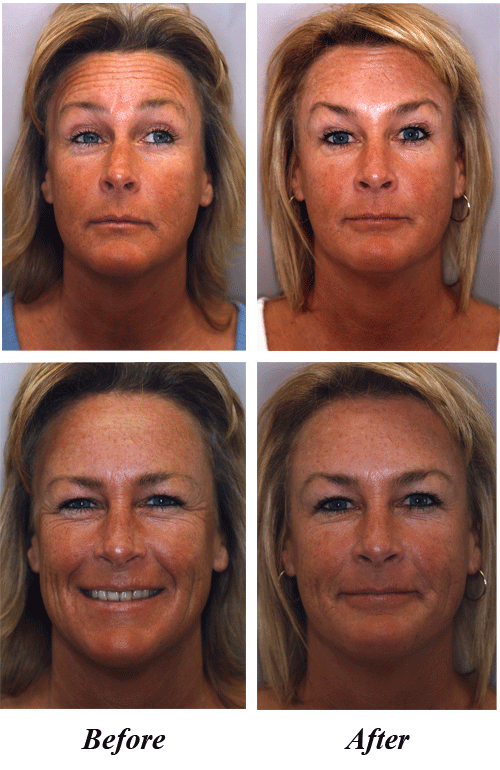 Alternatively, a patient may prefer facial fillers instead of or in addition to BOTOX®. Rather than causing the muscles to relax, facial fillers build materials underneath wrinkles and creases to create a younger, smooth appearance. Dr. Mahjouri may use one of the following brands of facial fillers: Radiesse®, Bellafill®, Juvederm®, or Restylane®. Each brand has a different intended application, a different effect duration, and different materials used for each, allowing Dr. Mahjouri to customize patient treatment plans accordingly. Dr. Mahjouri’s dedication to education and experience led to his Certificate of Advanced Education in Cosmetic Surgery from the American Society for Aesthetic Plastic Surgery. Despite his quality of extensive surgery experience, medical journals, and media exposure, Dr. Mahjouri has formed strong relationships with his patients and received very positive testimonials. Whether it’s a BOTOX® Cosmetic injection, Facial Skin Resurfacing (Face Laser Treatments), Rhinoplasty (Nose Surgery), Minneapolis Breast Augmentations, Tummy TucksMinneapolis, or Facelifts (Facial Plastic Surgery) MN, Dr. Mahjouri’s results and testimonials speak for themselves. Mahjouri Cosmetic Surgery & Skincare Clinic offers advanced Plastic Surgery & Skin Care. To learn more about why Dr. Mahjouri may be a great match for you, visit Dr. Mahjouri's Bio. Contact our office to receive a free mammoplasty consultation. Mahjouri Cosmetic Surgery & Skincare Clinic provides breast augmentations to patients from Fridley, Minneapolis, Anoka, and the surrounding communities. For more information, or to schedule a consultation call our office today!